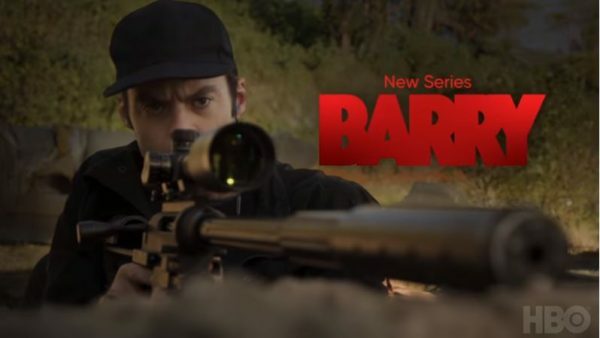 It’s always a premature slog when the main character is already despondent from the first frame which is the case for Barry, the vanity project/brainchild of Bill Hader. Barry is a moping killjoy immediately and the jokes are a resounding thud of poker-faced dialogue about how to execute a cuckolding target (one suggestion is a stabbing castration). The sparkplug for the premiere episode is vulgarizing the normally wholesome Happy Days megastar Henry Winkler. When he berates a female thespian on-stage with a vicious tirade to motivate her, he must be channeling David Mamet. Hader’s tentative stagefright is heart-palpitating but unlike Crashing which derived much inspiration from the other stand-up comic shows, the show doesn’t transcend the material with any fresh observations. I’d rather the show recalibrated and focused on Stephen Root’s liaison handler. He materializes wherever insomniac Barry is and despite his chipper kinship with Barry and encouraging musings about his “purpose” in life, he brandishes an element of combustible spontaneity. It’s tenable that he could metamorphose from Barry’s accomplice to his mortal nemesis if Barry botches any more contracts. This entry was posted in Reviews, TV and tagged barry, bill hader, HBO. Bookmark the permalink.